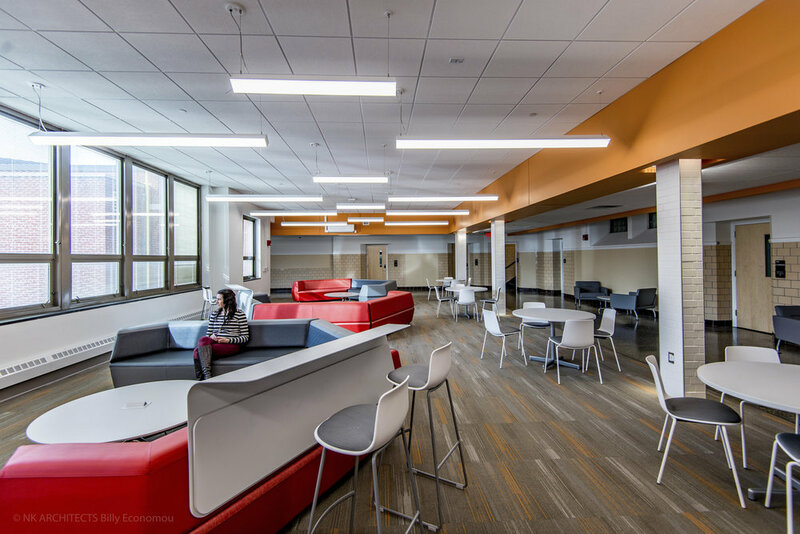 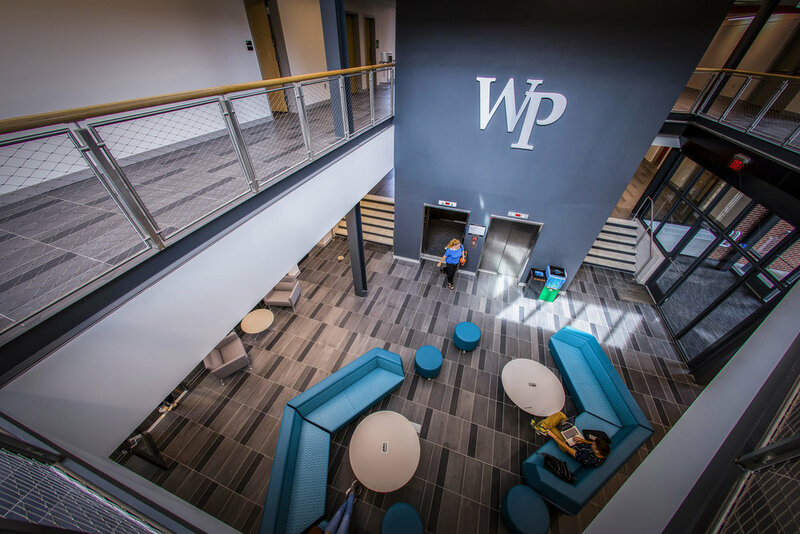 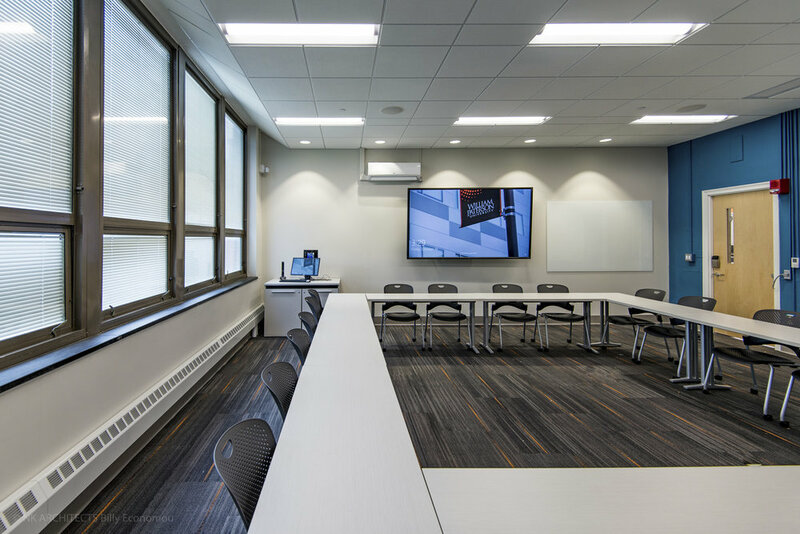 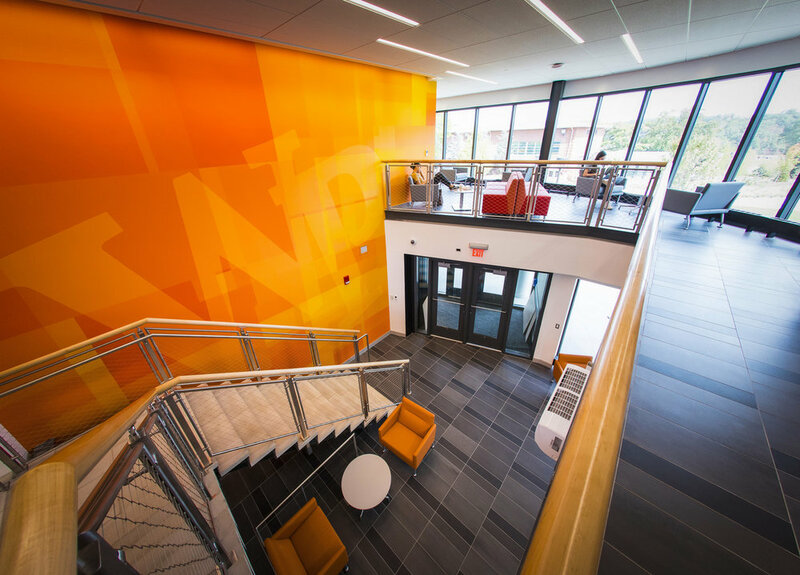 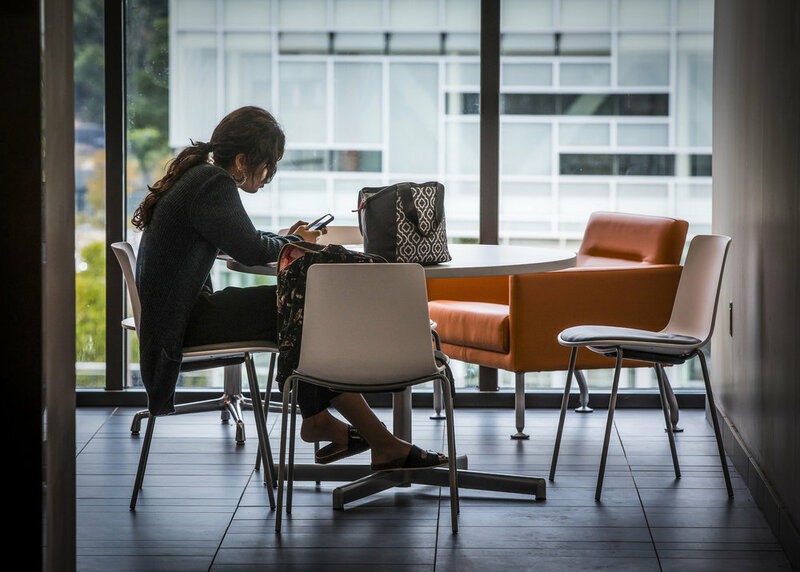 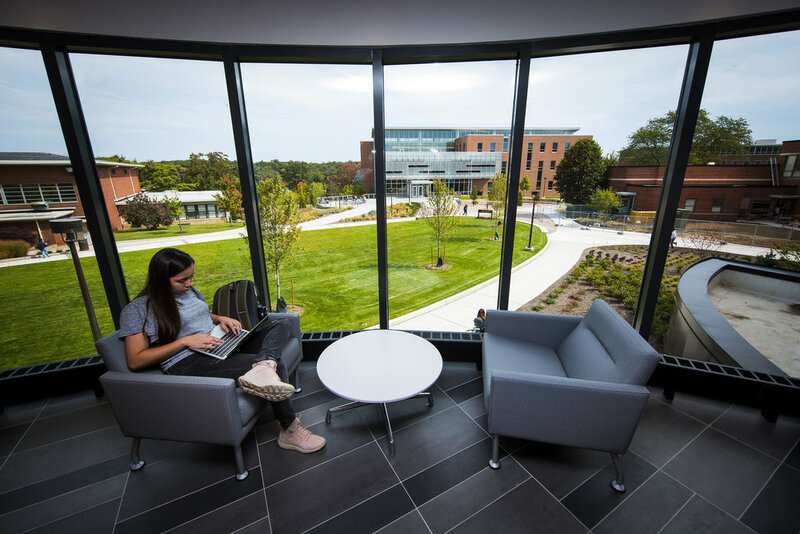 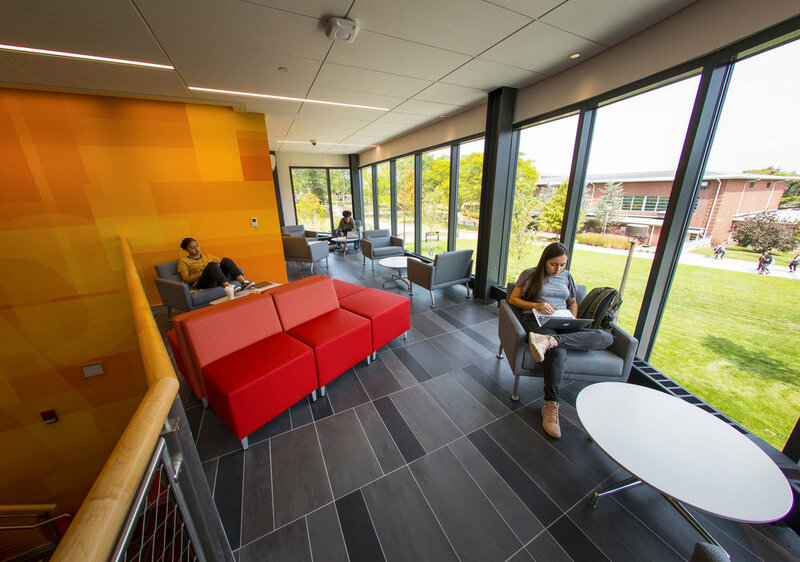 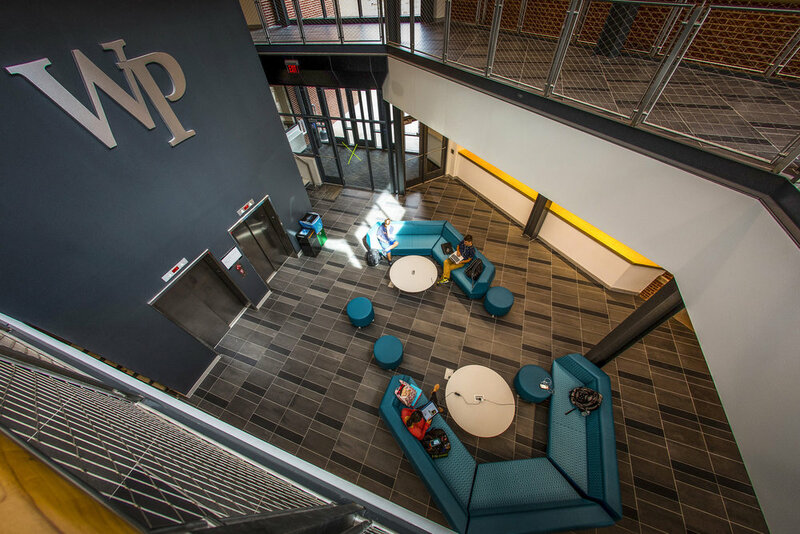 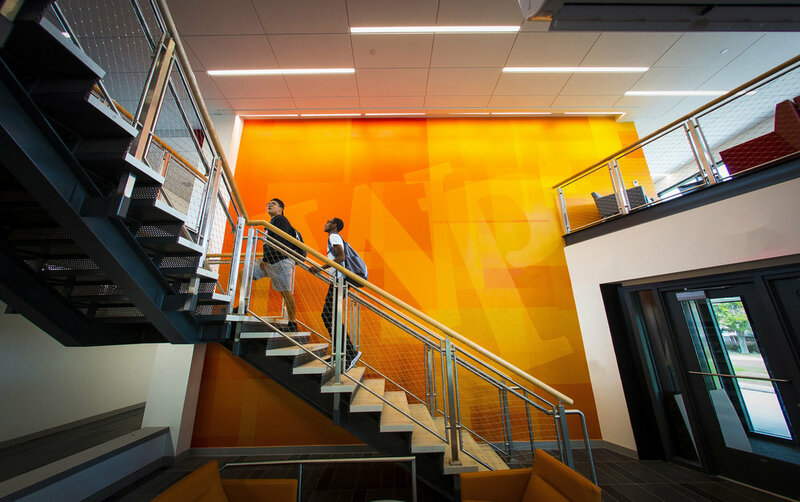 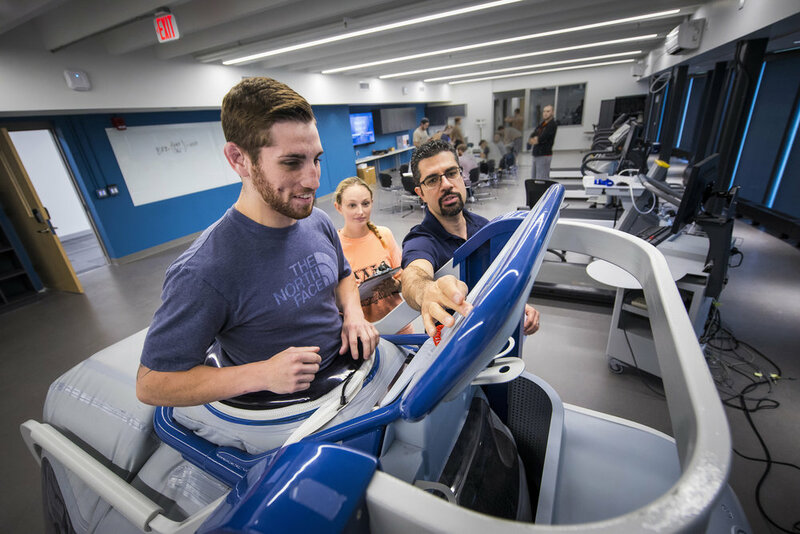 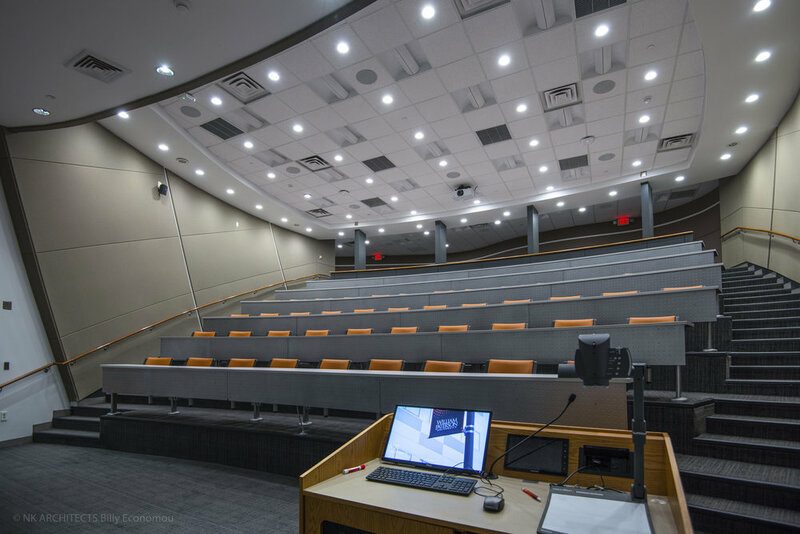 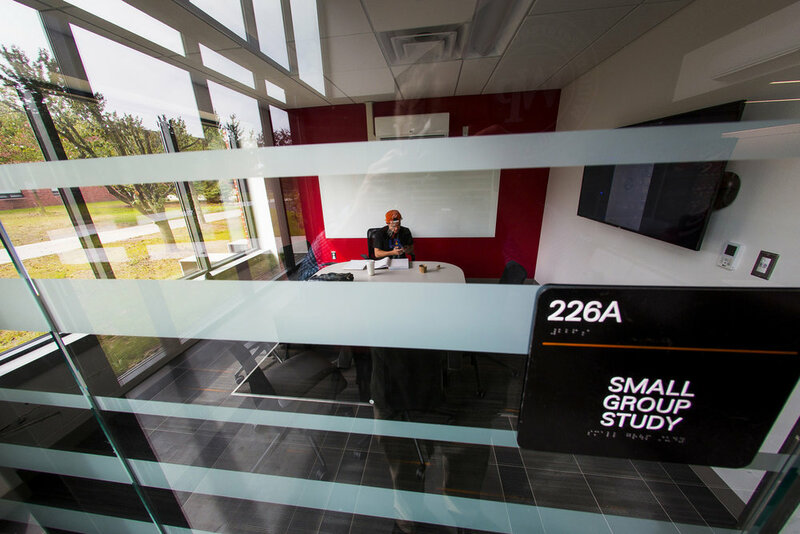 The renovation of Hunziker Hall and Preakness Hall is the most recent phase of William Paterson University’s renewal of aging facilities in the campus’ academic core. 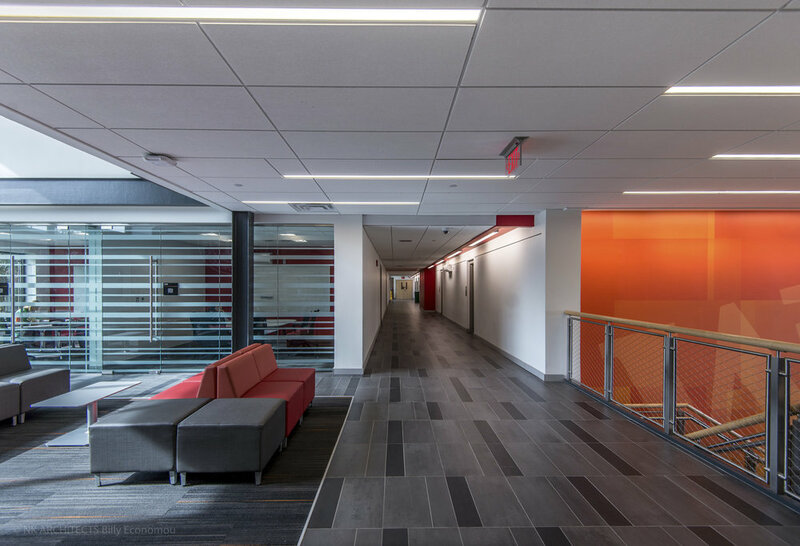 The Hunziker renovation project consists of a complete interior renovation, partial recladding, and selective demolition and reconstruction of portions of the two oldest academic buildings on campus comprising nearly 92,000 SF. 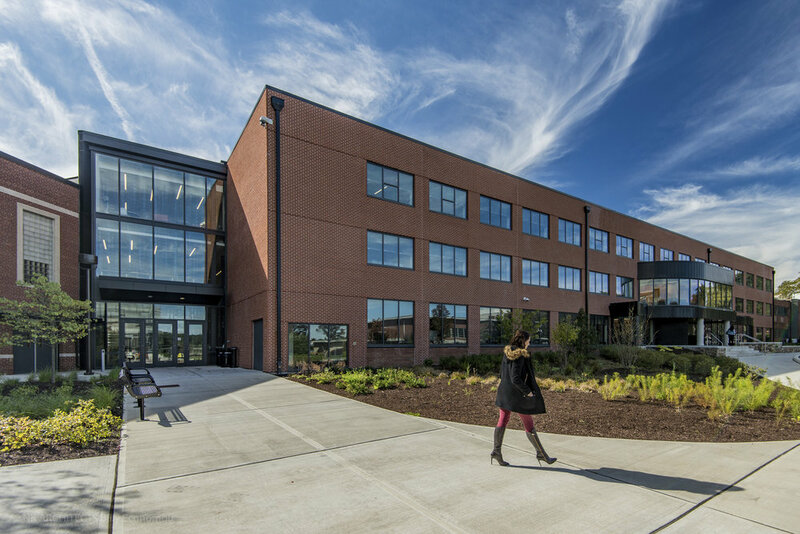 These two buildings, known as Hunziker Hall (1950) and Preakness Hall (1960), were the first two academic buildings built by the University (then New Jersey State Teacher’s College) when they moved from Paterson to their current-day campus in Wayne. 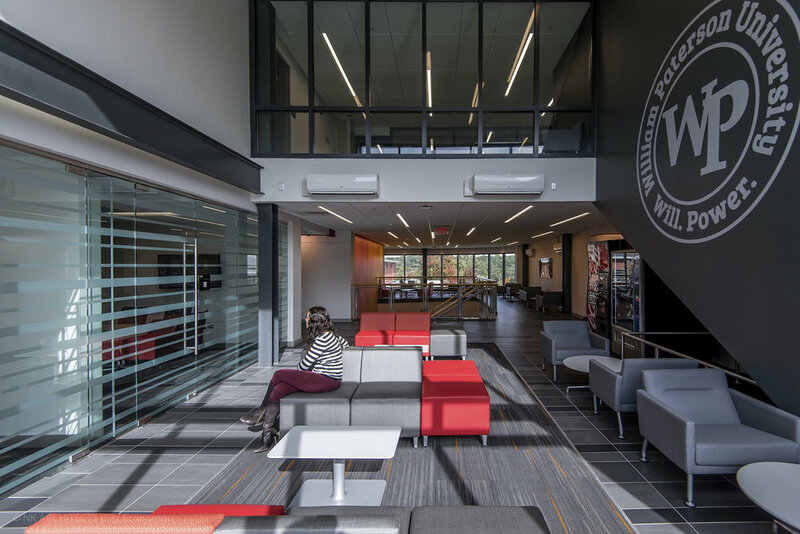 The goals of this project were: 1) to unify two distinctly different buildings in both form and function; 2) to provide the University with modernized learning environments including classrooms, seminar rooms, group study rooms, a variety of common lounges, a writing center and learning commons; and 3) to engage and elevate the surrounding exterior spaces and circulation patterns within the larger context of the campus.